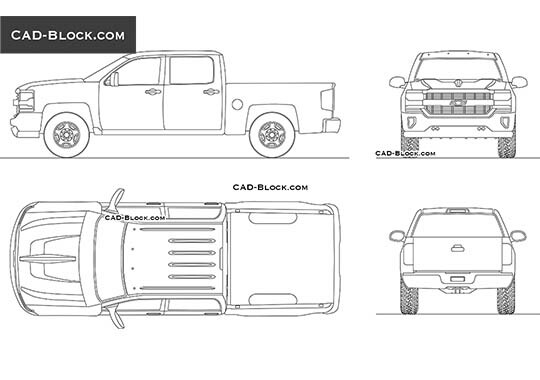 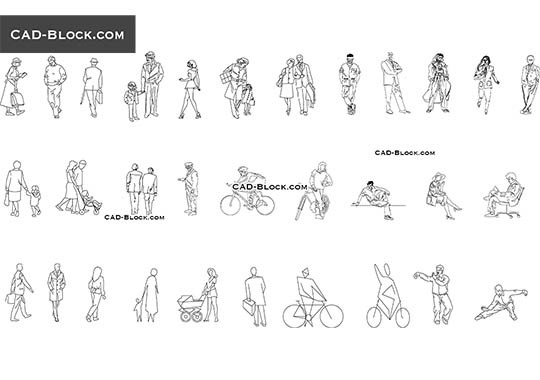 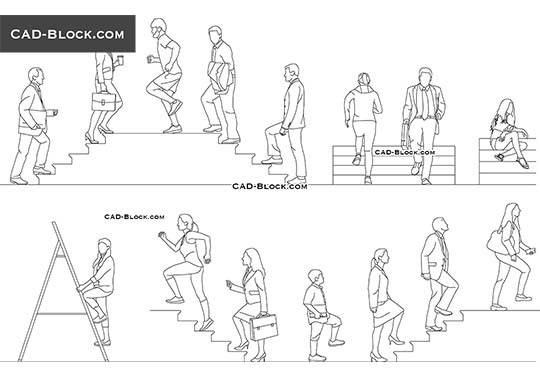 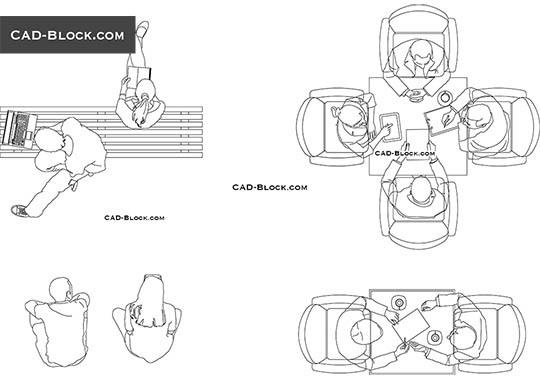 18 high-quality AutoCAD blocks of sitting people. 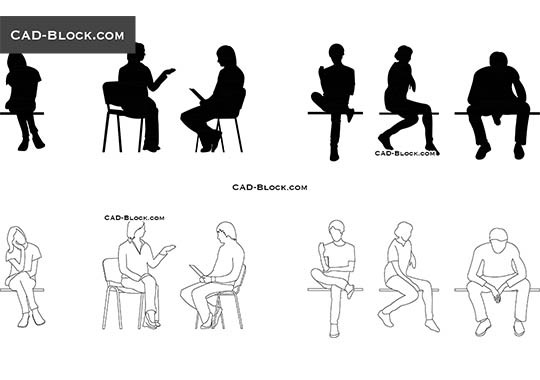 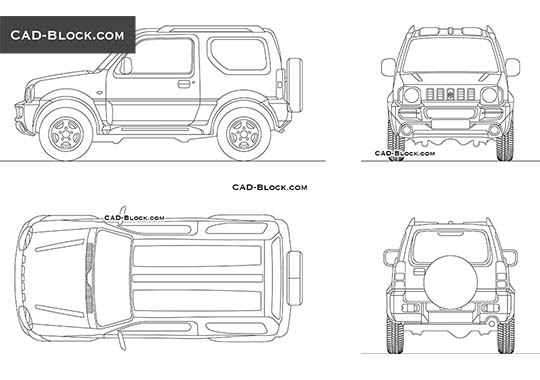 CAD Collection of people back view and elevation view. 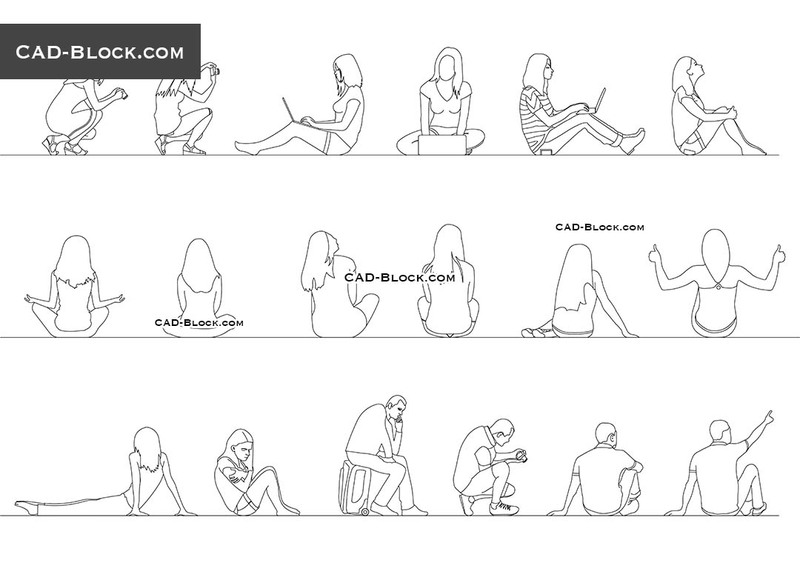 Girls with laptops, with cameras, men with gadgets, women making yoga meditation.